Green Building Services Monroe County MI - Design Build, General Contractor - Schonscheck, Inc.
Schonscheck, Inc. is Michigan's premier design-build and general contracting company specializing in sustainable buildings and LEED Certified construction services in the Monroe County MI area. 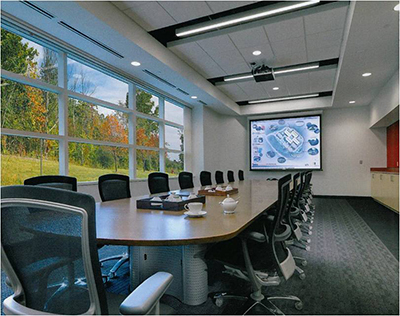 Working with some of the industries most recognized manufacturers, including Nucor Building Systems and Ceco Building Systems, we design and install sustainable buildings. Over the 30+ years we have served our clients, we have been challenged with almost every possible obstacle. Our experience allows us to create solutions that fit our client's needs and we consistently meet or exceed expectations. Our team of accomplished Architects, Engineers, Project Managers and Field Superintendents work synergistically at every stage of your project. Our clients know that no matter who they work with at Schonsheck, we will do our part to make this project a success and still be here for the next one. What drives us? We're an employee owned company. Everyone has skin in the game. We think like owners and always do what's right for you- and our company. We believe delivering an amazing experience means we'll see you again- and our repeat customers agree. Schonsheck, Inc. is a full-service general contractor that specializes in working with commercial, industrial and municipal clients throughout Michigan. We take complete responsibility for your entire project from pulling permits to handing over the keys. Our reputation for delivering well-designed buildings, on time, at the agreed upon budget is no joke. We like to have fun along the way, but we guarantee performance on everything we build. PEMB has played an integral role in our thirty-year history of design-build construction. 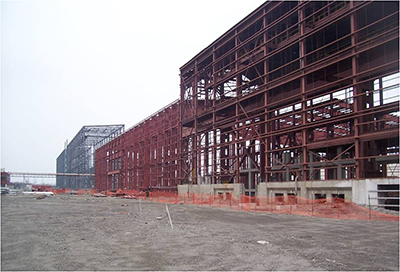 Schonsheck, Inc. is fortunate to be an Authorized Builder for two (2) of the largest Pre-Engineered Metal Building Manufacturer's in the industry, Nucor Building Systems and Ceco Building Systems. Our relationship with multiple manufacturers is unique in the industry, allowing us to ensure competitive pricing, maintain schedule, and optimize design. We design it. We build it. We stand behind it.